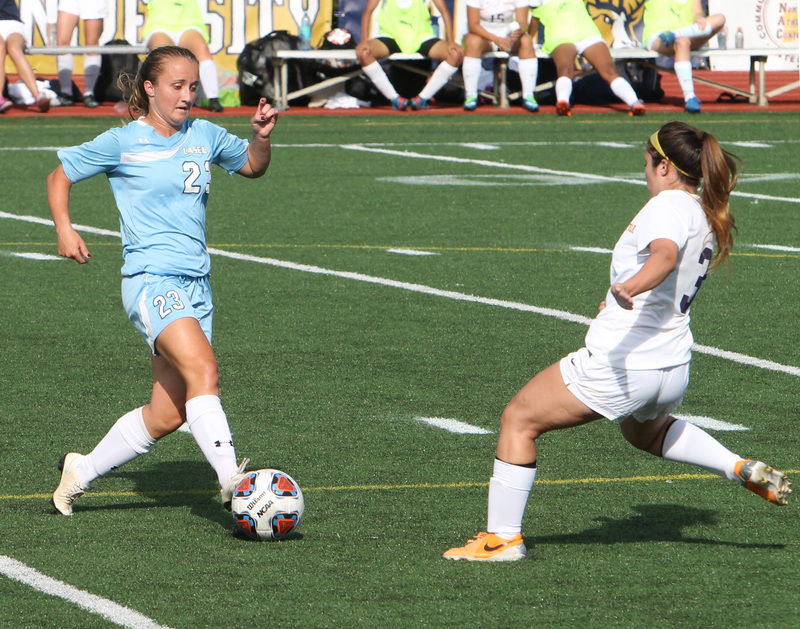 A new school year presents new challenges for the men’s and women’s soccer teams. Currently, the women’s team has completed seven games, and holds a 3-3-1 record so far this season. The women have won five consecutive Great Northeast Athletic Conference (GNAC) championships and plan to channel that success this year. Meg Cullen, junior, made it clear that this season is very important. Cullen said, “We have a target on our back and we need to work very hard this year.” Cullen has multiple goals already this season and plans to keep the streak going. As for the rest of the team, they are ready for the challenge ahead and prepared to take on the rest of the GNAC to make it past the first round of conference playoffs. Last year the women won the conference title and made it to the first round of the NCAA tournament where they lost to Williams College 2-0. The men started slow, losing their first four games without scoring a goal, but gained confidence in their fifth game winning 2-0 over Suffolk University. Coach Burke Hazard believes the team is coming around. Hazard has one season under his belt and plans to make his second year a success. The majority of last season’s starters graduated or transferred, which makes this a challenging year for the team. Hazard was in charge of the recruiting process this year and brought in eight new players, one of which is a transfer. According to Hazard, the team is “mixed,” and consists of “old and young players with not much in-between.” Both the women and men will continue to improve this year and are confident about their upcoming games. The women play at home against Norwich University on Wednesday, September 30 while the men play on Tuesday, September 29 against Gordon College at home. Students find their wellness from within.